Sofa Sets There are 10 products. 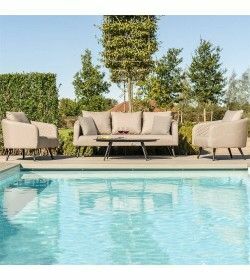 La Vita ticks all the boxes for garden furniture. 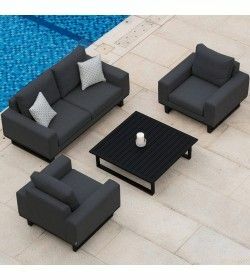 It's perfect for UK gardens, offering upholstered comfort that can be left outdoors indefinitely. It can be cleaned with lukewarm water and mild soap or with a pressure washer, and the fabric dries quickly.